This lovely Norman church was probably increased in size in the 11th century, and the base of the tower is 12th century. During the 14th century, more renovations and additions were made, and then in the 19th century the church was completely restored. 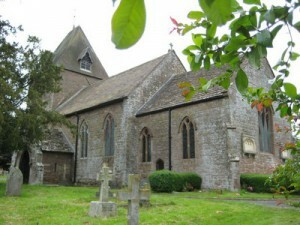 In 1854 the Much Dewchurch church was reopened after a year of work; it had been described as one of the most neglected and ill arranged churches in the Diocese but after the restoration all comments were favourable.